If you have interest in writing for us and having your post published, please visit our Contact Page. 1. 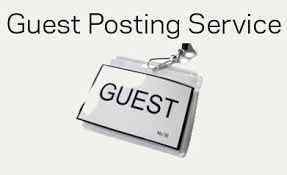 We care so much about originality and we do not expect a submitted guest post to have previously appeared before anywhere, not even on your blog. We also hope the submitted article will not appear somewhere else in the near future. 2. We do not accept posts written solely for the purpose of advertising a product, website or some paid services. If you intend to write a post for advertising purpose, please visit our Sponsored Post Section. 3. Posts with too much external links or affiliate links may be rejected. Please, only link to what you know is actually relevant to the content of your post. If we realize you’re linking too much to your blog, we may not be able to publish your post. However, you can highlight your blog or product in the byline which should be a sentence or two. This will be shown below your blog post. 5. Your post must be long enough to be called a blog post minimum of (800 words), though we believe more in quality than the quantity of words contained therein. The choice of length is yours but we're sure that we won’t accept a blog post with just a few words. 6. Images sometimes convey messages which can’t be expressed in the content of a blog post. We encourage you to use one or two images or screenshot (where applicable) in your guest post. 7. We will contact you whether or not the post will be published. Please be patient as we may need to go through the post and do some backgrounds work on it to determine its authenticity. We will be glad to have your post published in our next update.